St Patrick’s Day can be lots of fun for your toddler. Make the most of the rainbow, pot of gold and shamrock images to create some festive decorations and cakes. 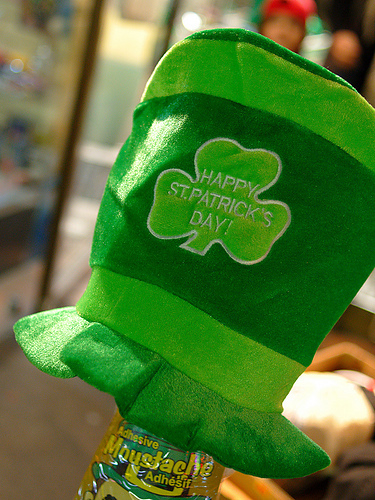 Saint Patrick’s Day Lá Fhéile Pádraig is an annual holiday celebrated on 17 March. 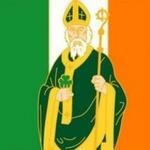 It is named after Saint Patrick ( AD 387–493), the most commonly recognized of the Patron Saints of Ireland. Originally a Christian holiday, it became an official feast day in the early 1600s. When it began, the colour associated with Saint Patrick was blue, not green. 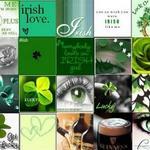 However over the years the colour green and its association with Saint Patrick’s day grew. The wearing of green ribbons and shamrocks in celebration of St Patrick’s Day began as early as the 17th century. The reason behind the shamrock symbol is that it is believed that he used the shamrock, a three-leaved plant, to explain the Holy Trinity to the Irish. The shamrock is a symbol of Ireland. It is a three-leafed old white clover.